The capital of Spain awaits us so that we focus on one of the latest projects that the PORCELANOSA Grupo has worked on. 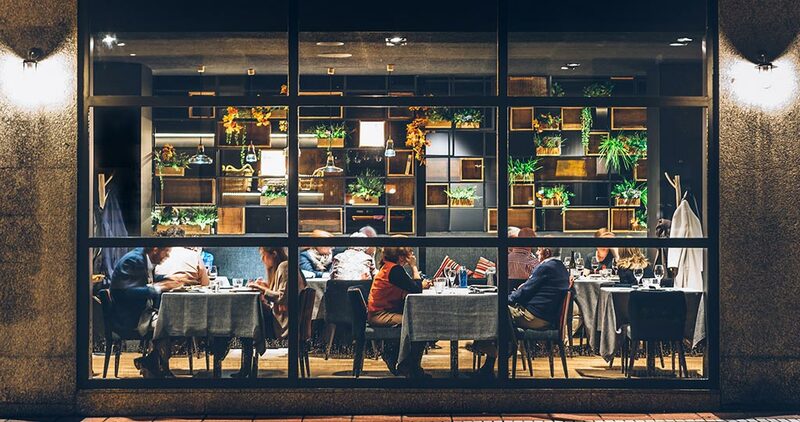 We are going on a gastronomical tour around Madrid, starting from the Santa Engracia Str., specifically, opposite the magnificent Canal de Isabel II museum. 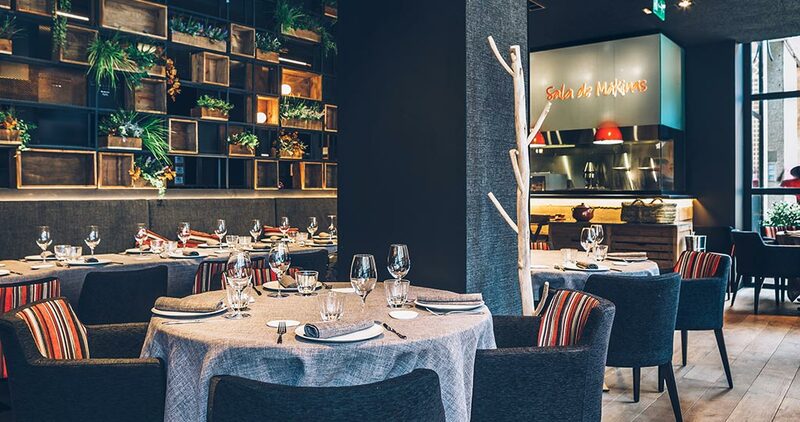 It is there where one can find the new premises run by the chef, César Martín, an award-winning chef seeking to turn his new restaurant into his own ‘kasa’. The chef, with the honourable mention ‘Chef in progress’ by Metrópoli joined the project alongside his wife, Marina Launay, in a very personal way, being convinced that the essence of quality lies in the details. 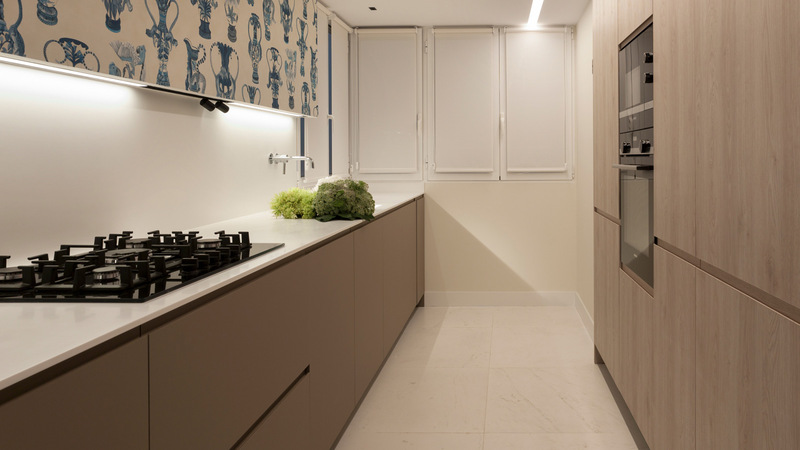 By trusting the quality of the materials from the PORCELANOSA Grupo, they created an appealing, cosy and modern space full of charm. 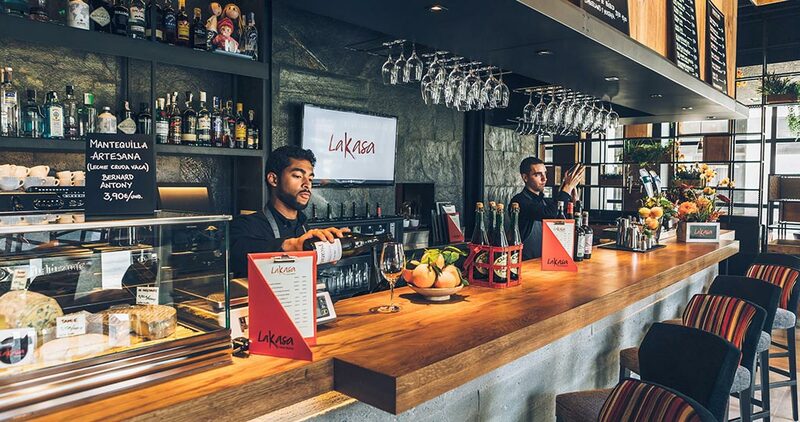 The work carried out in the Lakasa restaurant was both thorough and complex. 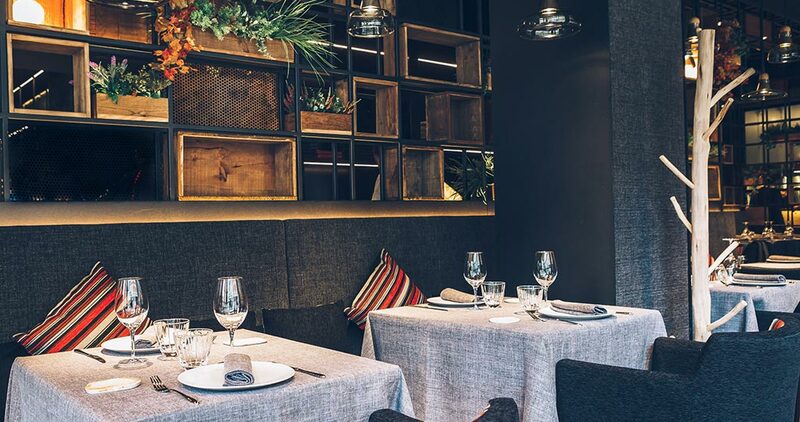 A painted and aged pinewood bar was designed, including a black metal sheet, and natural wood worktops in order to convey warmth and authenticity. 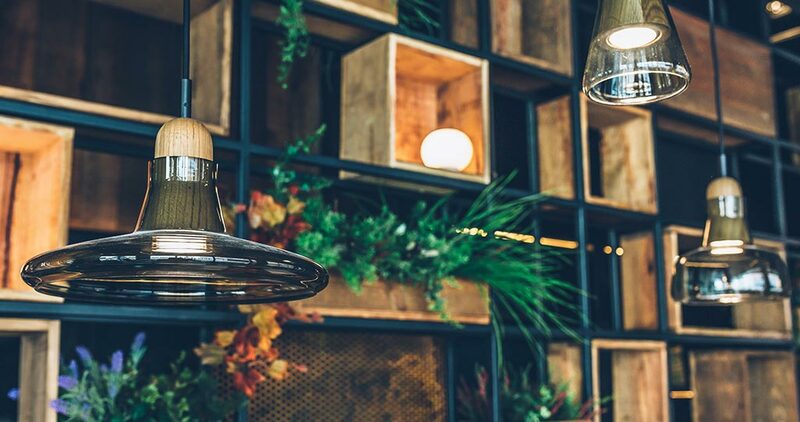 The walls behind the bar were covered with natural slate, specifically, the Dehli Natural Home model by L’Antic Colonial; a metal rigging system with boxes and plants was used as decorative point. The uniqueness regarding the rigging system lies in the fact that it goes along walls and ceiling in a dark background, therefore, the result is an arrangement which conveys magic and mystery, thanks to hidden lighting and original decorative pieces. 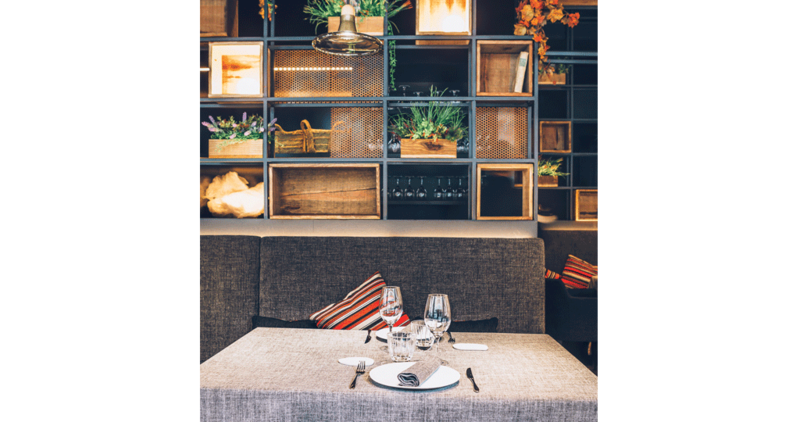 We are dealing with a unique atmosphere where the kitchen becomes the heart of the place. 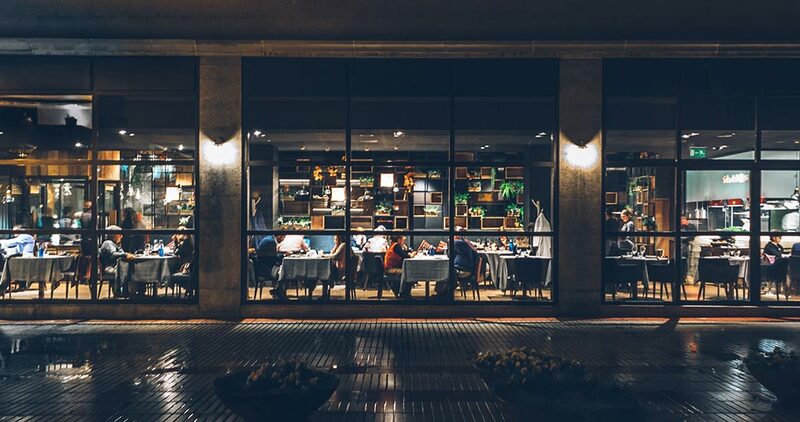 It is just in that space where the chef and artist’s creativity is let loose, the place where the chef takes care of, and pays attention to, every fine detail so that the dishes have the perfect taste and texture. 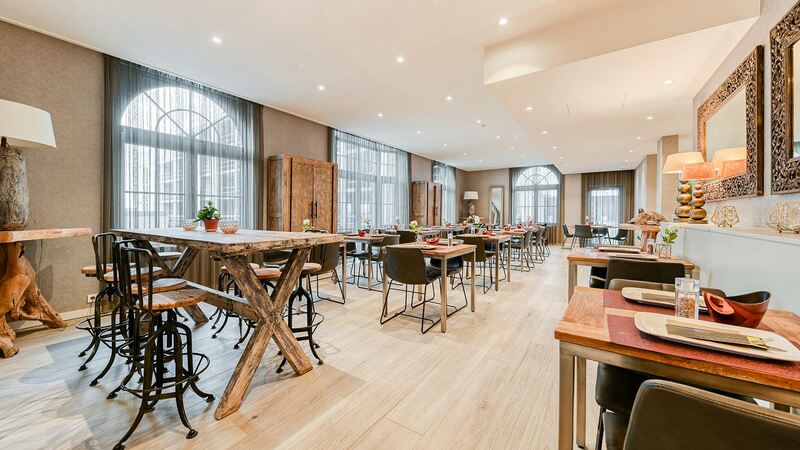 The wood floorings and the porcelain, such as the Dover Topo porcelain tile, complete the excellent appearance of the premises, highlighted by the tradition and texture combination. It is a project which conveys sobriety, elegance, origin and quality, all of this in perfect balance. 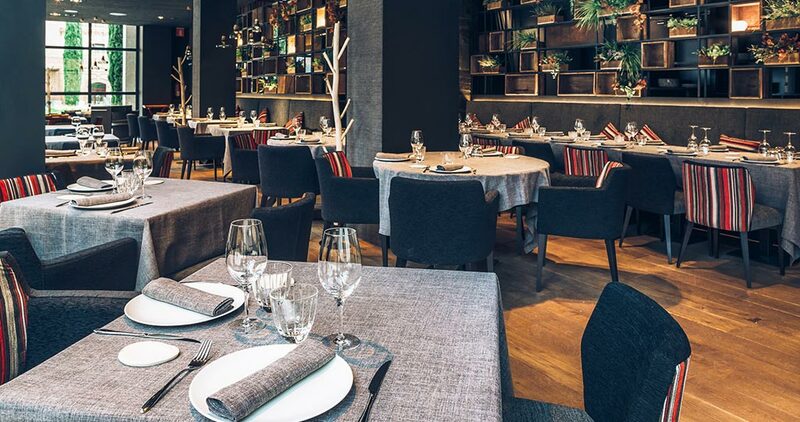 The aesthetical versatility and wide range of shades of the products and materials from the PORCELANOSA Grupo make this restaurant become an exclusive project as well as highly cosy. 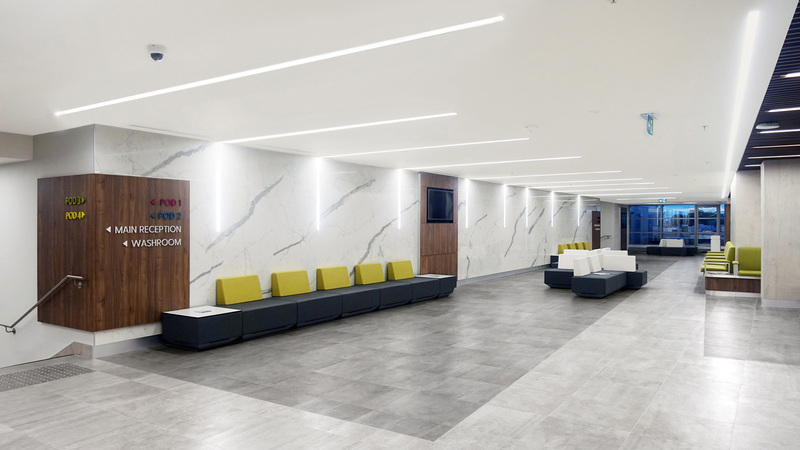 Apart from the working area, kitchen and bar, with ceramic designs regarding flooring such as the anti-slip Dover Topo by Porcelanosa; the firm stands out in the different bathroom spaces. In fact, it is worth highlighting countless bathroom equipment designs by Noken in the toilets for the ladies and gentlemen, as well as in the toilets for disabled people. Ranging from sanitaryware such as the PMR, to basins like the Forma Rondo or the wall-hung NK Sani 65 cm. basin. In addition to this, the taps also play a major role, such as the Bela Cromo single lever basin mixer, or the NK Concept with high spout. Also in the toilets, one can find some ceramic series used as wall tiles, such as the Dover Topo combined with the Chester Antracita. In conclusion, we are dealing with a delightful space to have exquisite food, without compromising the fact of feeling at home.